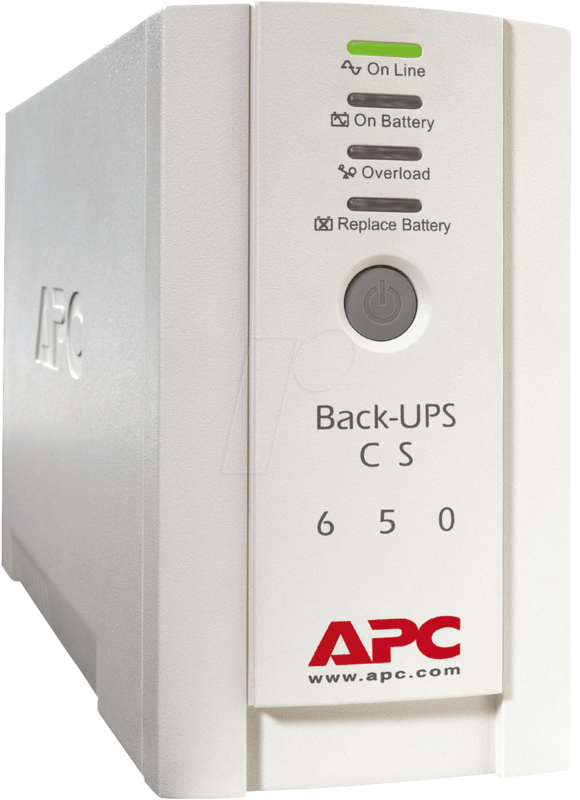 • Surge protection for data lines: Protects connected devices against voltage surges, voltage peaks, lightning and other power disturbances. • LED status indicators: Devices and current status can be analysed quickly by means of optical indicators. 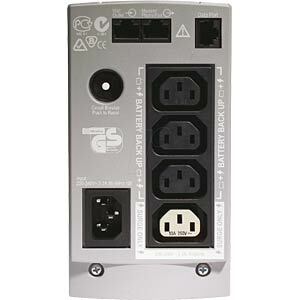 • Warning tones: Notifies the user when the status of the power supply or the UPS system changes. 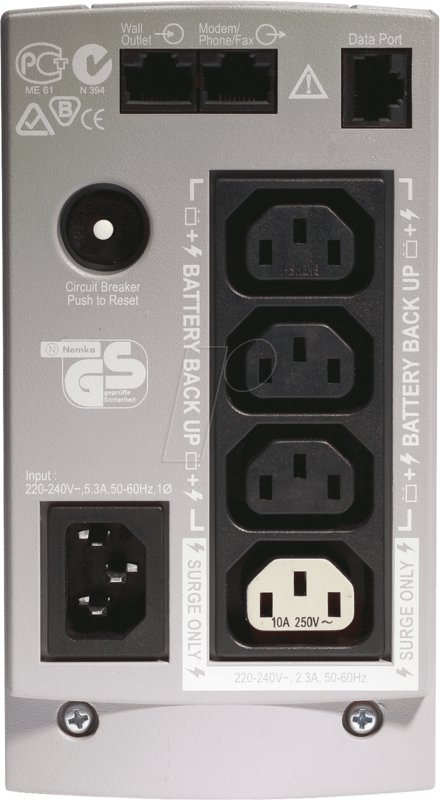 • Sockets for connecting plug-in power supplies: Protect your devices with input transformers, without covering other outlets. 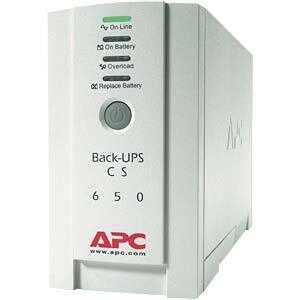 • Automatic self-test: Periodic battery self-tests for the timely replacement of used batteries. 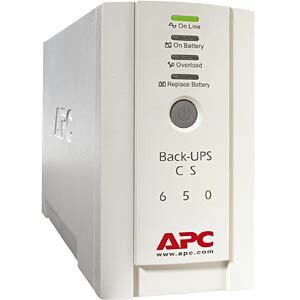 • Battery replacement without tools: Enables quick and easy replacement of batteries. 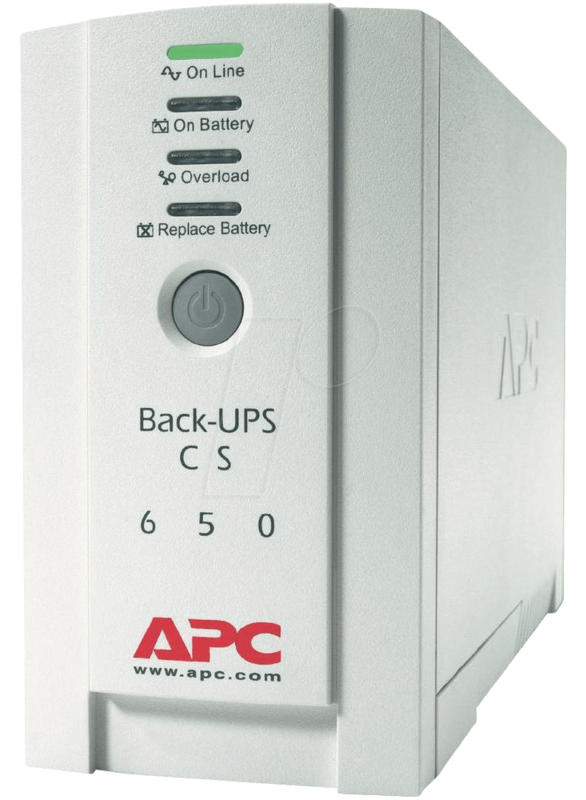 • Automatic restart of connected loads after UPS shutdown: Automatically starts up the connected devices when the mains voltage returns. • Approval by testing institutes: Ensures that the product has been tested and approved for safe operation with the connected devices by service providers and within the specified environment. Approvals: UL, FCC, CE, C-Tick.